Greg Curtin, Founder and CEO of CivicConnect, will speak at Augmented World Expo (AWE) USA 2017 this spring. The largest AR & VR event in the world will take place May 31st through June 2nd in Santa Clara California. Curtin will present CivicAR, the first mobile AR solution specifically for the public sector, helping cities cater to the increasing expectations of mobile residents, visitors and workers. Though the event features representatives from all industries and sectors, Curtin will demonstrate how AR can be applied to the public sector in everything from transportation to tourism to utilities, creating efficient, connected communities, a step on the path to a smart city. Representatives from Wikitude, Niantic, Oculus/Facebook, DAQRI, and Qualcomm are just a few of the AR and VR leaders that will also be speaking at the 8th annual AWE USA conference. The event will feature 6 tracks for its 5,000 attendees including: Inspire, Design, Develop, Work, Life, and Startup Pitches. 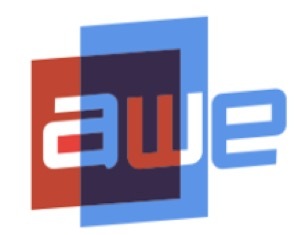 To learn more about AWE USA 2017 and to register, click here.